Shelia Donovan is the heart, soul and founder of the Pilates Studio in Canton, Massachusetts. Her love, positive energy and laughter flow into every corner of the space, uplifting all who enter. 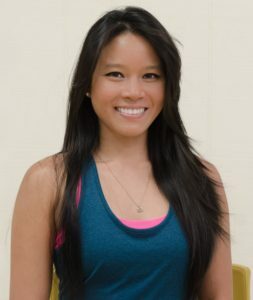 She and her instructors share a love of movement and are resolute about educating their clients in mind body practices. As an athlete herself, runner & marathoner, Shelia knows the profound joy, strength and healing that accompanies movement practices. Her belief is that joyfulness, renewal and transformation through mind body practices is for everyone to experience. Passionately committed to all forms of movement that connect mind, body and spirit, she has completed a multitude of courses and certifications enabling her to serve as an expert, inspiring confidence in her students. Originally from Virginia, Shelia’s fitness journey began with a BS degree in Exercise Science/Kinesiotherapy from Norfolk State University followed by 13 years employed as a Kinesiotherapist with the Veterans Administration Hospital. 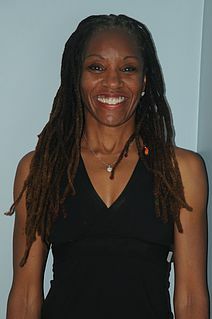 She relocated to Massachusetts in 1998 and graduated from the Massage Institute of New England. Gaining her National Certified Massage Therapist license in 1999, she remains an active AMTA member. At about the same time, Shelia became a personal trainer, receiving her certification through the American College of Sports Medicine. Shelia has trained in Stott® Pilates since 1998 and became a fully certified Stott Pilates Instructor in all aspects of Pilates, advanced Mat & all equipment; both level 1 and level 2. In her pursuit of rigorous academic credibility she undertook the Functional Anatomy for Movement and Injuries Program twice at Mt. Sinai Medical School and is now an alumnus with access to cutting edge research in musculoskeletal conditions. In 2003, she began her Gyrokinesis® / GYROTONIC® exploration which added a missing piece to her mind body practices. The system was created by Juliu Horvath, to rehabilitate himself as an injured dancer. Shelia trained with master trainers Kathy Van Patten of Boston and Sebastian Plettenberg of New York City. During 2004, she completed level one teacher training and completed her certification by Juliu Horvath as a GYROTONIC® and Gyrokinesis® trainer, followed by Level 2 GYROTONIC® and specialized equipment. In caring for her own wellness and desire to continue running 10K/5K races and marathoning, (Shelia has completed 35 marathons and won 3) Shelia pursued Yamuna Body Rolling and became a certified Instructor of Trainers. She utilizes the Yamuna Body Rolling and all of the above methods proactively to prevent injury for herself and her students. Trained and certified in ActivCore FEX™ gives her an additional training apparatus which augments the wide variety of methods offered to her clients. In 2008, Shelia became a registered National Yoga Alliance certified yoga teacher having completed the rigorous YogaWorks program with Natasha Rizopoulos, as well as certifying as a Thai Yoga Massage Therapist through the Lotus Palm School of Montreal. She has studied with many renowned yoga instructors including Beryl Bender Birch, John Friend, Rodney Yee, Baron Baptiste and Sean Corne. Shelia expresses, through all of her teaching that mind body exercises are part of a journey that must be continuallyexperienced. She believes that the ability to gain mental and physical strength through one’s practices helps a person maintain clarity and to endure whatever obstacles life may bring. Shelia is well known for her attention to detail and her ability to “see” and “feel” each individual’s strengths and relative weaknesses and then formulate a specialized program to address these needs. She has guided all of her instructors in these methods. Whether clients be elite athletes, the unconditioned, weekend sports enthusiasts, those with significant physical disabilities, people with joint replacements, and a variety of other issues which require special attention, she is inspired and moved by all of her clients’ dedication and courage. She mentors young athletes as well as her instructors, sharing liberally her wellspring of knowledge and talents in mind body methodologies. Her generosity to the Canton community and fundraising for worthy causes is another passion to which she devotes her time. Whether it be a memorial run, raising money for YogaHope, or supporting the local schools and charities, Shelia is well recognized and admired. She is an integrating force and role model in the lives of her students, her community and beyond. Jacqueline Buonopane has been a client of Shelia Donovan’s Pilates Studio for a number of years. She owned a business for twenty years and retired in 2010. Jackie has always had a passion for yoga. At the urging of Shelia Donovan, Jackie enrolled in the Yogaworks 200 hour Teacher Training in Boston. Jackie completed her 200 hour certification through Yogaworks in February 2012. In 2014 Jackie received her 300 hour certification at the Down Under School of Yoga in Brookline, MA. Both certifications were under the mentorship of world renowned Master Teacher Natasha Rizopoulos. Through the Yoga Alliance, Jackie is a 500 hour registered yoga teacher (RYT 500). Her classes are foundations of yoga flow, combining breath awareness with emphasis on teaching detailed alignment and intelligent movement. Jackie uses various props including blankets, blocks, straps and bolsters to assist in achieving the proper alignment for a safe and mindful practice. Jackie’s passion for teaching comes from her desire to share her love of yoga with others. My name is Aaron Crawford. I am certified in Yang Style Tai Chi Chuan. I have been teaching Tai Chi for twenty three years in various places such as; nursing homes, senior centers, yoga studios, public schools and youth programs. I am currently a student under Master Tom Tam of Quincy, MA. Master Tom Tam also certified me in his Tong Ren Healing and Tui Na massage. 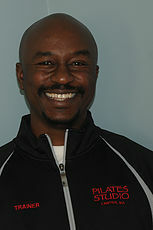 Ally (Allyson) Richard Cushing is a STOTT Pilates Certified Instructor in Mat and Reformer. Ally is also a STOTT Pilates Rehab Specialist and a STOTT Golf Specialist. She teaches all levels of Pilates mat – Beginner through Intermediate, Pilates with Resistance, and Core Strengthening, as well as private and small group equipment classes including Reformer, Stability chair and TRX Suspension and TRX/Rip. Ally is the studio’s resident Boot Camp Instructor having pumped new energy and excitement into the program which has a dedicated following. Ally believes Pilates has been a determining factor in her life. While she is an avid runner and practitioner of exercise in all its forms, Pilates is home for her body and mind. Her youthful spirit and enthusiasm combined with the many elements of the Pilates prism have left her students striving for more. Her talents as an instructor are the result of a great dedication to this form of exercise and the personal desire to inspire her students to attain that same level of individual achievement. Allyson wishes to advance to the highest level and is currently striving towards Advance Pilates Certifications. In advance of instructing Pilates, Ally worked as a paralegal and still holds an active interest in her family’s century old residential roofing business. She is a graduate of Salve Regina University with a double major in History and Criminal Justice. It is within this background that her strong work ethic is harbored. Because her enthusiasm, sense of humor and unwavering positivity are always present, she will constantly draw your best efforts! I am a reiki practitioner, yoga teacher and a licensed GYROTONIC® trainer at Shelia Donovan Pilates Studio. My path to falling in love with holistic wellness began when I studied abroad in Thailand my junior year of college. Yoga became a powerful vehicle for change and healing in my own life because it helps bring awareness to what needs the most attention on any given day. My teachers past and present have taught me the importance of creating a sacred space for connection. Teaching slower practices such as yin and restorative yoga has become Yeradmi’s signature style as she is very passionate about guiding her students to feel calm and rejuvenated through stillness. Her greatest desire is to offer a shift in perspective, sense of ease and support in your journey. She frequently teaches teens, kids, families and at special events. Yeradmi hosts and leads annual wellness retreats in Santiago, Dominican Republic where she manages a vacation home year-round. Melissa Hertzel is a Stott Pilates trained instructor in both Mat and Reformer. She is also trained in TRX Suspension. Melissa joined the studio as a client in 2008, shortly after the birth of her second child. She found Pilates to be both challenging and fulfilling. As a Mom, Pilates provided Melissa with time to focus on herself, something that can be quite a challenge as a parent of young children. Soon after, Melissa became an instructor. Pilates has provided her with such an important strengthening of mind and body, she wants to be able to share that experience with others. She hopes to teach her clients the positive effects Pilates brings to both the body and the mind. Prior to joining the studio, Melissa worked in commercial lending. She left the business world after having her first child. Her mother, who has been a student of the studio for many years, encouraged her to practice Pilates. She has not looked back since. She is also bookkeeper for some favorite local businesses. Carol became hooked on yoga after taking her first class when tears flowed while in Shavasana. Needing to explore this, she took the 200 hour Yoga training in 2006 with only the intention to deepen her practice. But, being so excited and inspired to share this knowledge, she started by teaching Kids’ Yoga for 3 years. She then went on to teach Vinyasa Flow Yoga. After taking a silent retreat training with Sara Powers, she knew she needed to share this meditative quiet practice. Carol has been teaching Yin Yoga for 4 years now. To guide students to their inner true self through mindfulness, awareness and acceptance is a passion for Carol. Carol has completed additional training in Thai Massage, Senior Yoga, Touch for Health and several Yin Yoga trainings. Carol is currently in an advanced 500 hour training focusing on Myofascial Release of the body. Carol is also a Reiki Practitioner. Darlene has been coming to Sheila Donovan’s Pilates Studio for the past nine years. Looking to improve her running and hoping to find a positive outlet for stress, Darlene took her first Pilates class in 2006. She did not stop there; Darlene has been a student in all levels of Mat Pilates, Pilates with Resistance, Yoga, Yoga for Runners, Stability Chair, TRX, RIP Trainer, Yamuna Body Rolling, and Reformer. Her dedication to intelligent exercise has paid off. Darlene has competed in four triathlons: three sprints and one Olympic distance. She has also completed two 24-hour relay races (Reach the Beach), ran the Boston Marathon in 2011and competes in many local races. Darlene spent so much time at the studio, Sheila encouraged her to become an instructor. Darlene is Stott Pilates Teacher Trained in Mat and reformer. During the day, she teaches English at a local high school. Jennifer Plourde is Stott Pilates trained in Mat and Reformer. She initially discovered Pilates when looking to rehabilitate from injury, and was able to appreciate the precision of movement and body awareness built through a consistent practice. Prior to her introduction to Pilates, she earned her Doctorate of Physical Therapy from Simmons College, and has since worked in both inpatient and outpatient settings. This broad range of experience allows her to appreciate the challenges that come from both chronic and acute injuries, and she enjoys integrating this knowledge to provide a safe yet challenging experience for students at various levels. Jen constantly strives to further her education, and enjoys learning new techniques to improve the lives of her patients and clients. Jen believes strongly that one should move well, and move often–and that Stott Pilates is a wonderful way to achieve both! Andrea, RYT, is a certified Yoga Instructor with Yoga Alliance. She completed her 200-HR YTT at Health Yoga Life located in Boston, MA. She is also in training to get her certification for the GYROTONICⓇ method. What began as a personal interest to improve functionality in her workouts turned into a lifetime journey. Andrea pursued her career path in Corporate Finance for 9 years through industries such as government defense, insurance, and Disney World! Her real path, however, started from a ski accident in 2009. After having gone through two ACL surgeries she began experiencing hip and knee pain on a daily basis consequently causing misalignment in her gait. In 2014, Andrea learned about GYROTONICⓇ and its amazing system as a client. The accident forever changed her outlook on our fragility and our uniqueness as a species amazed how our body works to reassemble, re-build, and re-nourish itself. It’s not just about the physical benefits to Andrea. It’s about looking at all of the systems as a whole that are recovering within ourselves, whether that’s spiritual or the physical body. After creating healthier, new physical habits she found her yoga practice benefited her work regiment at the office, as well. During fire-drills, assignments, and tight deadlines she noticed her attention and priority setting abilities regained focus. At the end of 2018, Andrea left her corporate lifestyle to devote her curiosity for body movement and to learn what such practices can teach us. She is committed to carefully listen and help others reach their inner greatest potential and optimal function. Your body is a temple. And there is only ONE you! She is happy to help you evolve and discover new boundaries within yourself, together!